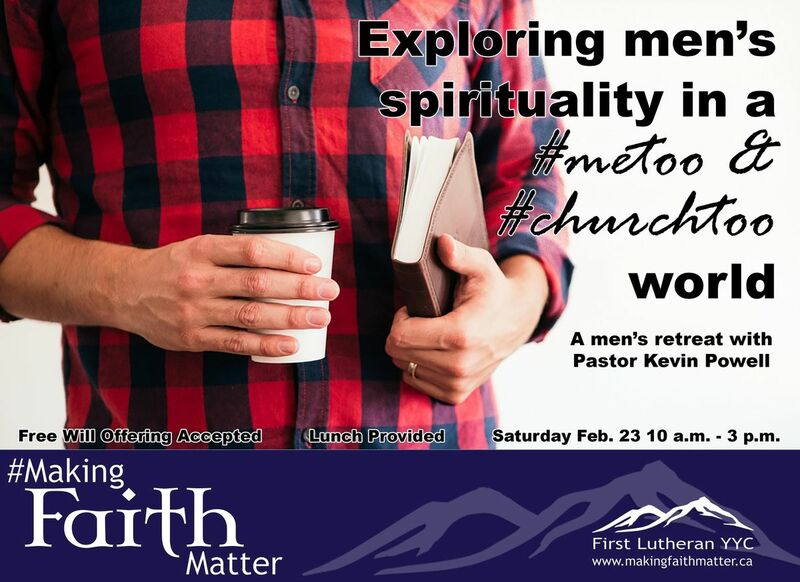 Join us at First Lutheran church for a men's retreat where Pastor Kevin Powell will explore men’s spirituality in a #metoo & #churchtoo world. Lunch is provided. 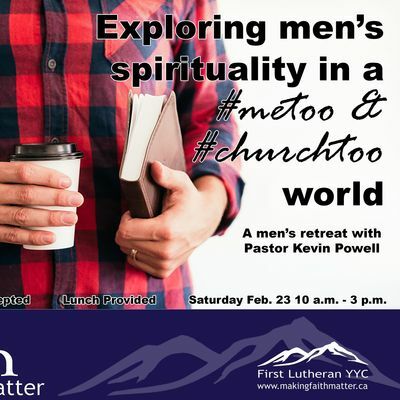 A free will offering will be collected.